New Westminster, British Columbia (November 2, 2015) — The Arts Council of New Westminster is capping off a wildly successful year with its final solo exhibition featuring the surreal, abstract works of local painter Pepe Hidalgo. Brushstrokes in History/Pinceladas en la Historia will be on display from November 10 to December 13, 2015, Tuesday through Sunday 1–5 p.m. at The Gallery at Queen’s Park. The artist’s reception will be held Sunday, November 15, 2–4 p.m. and is open to the public. Hidalgo recently moved to New Westminster and has become a welcome member of the local arts community. Growing up in Madrid, Spain, Hidalgo’s appreciation for art was nurtured by frequent visits to the Museo del Prado; the dark, dramatic works of Francisco Goya inspiring him to pick up a brush himself. His early work was heavily influenced by the Impressionists, but Hidalgo’s style evolved into something truly extraordinary during his studies in Madrid and the Netherlands. He began to explore form, colour and perspective through the lense of Abstract Expressionism and Surrealism. He now juxtaposes elements from all three movements into his paintings. “My art invokes the ever ineffable nature of time and the equally mysterious way that the past, in art and in the rest of life, can push its way forward into the present moment,” said Hidalgo. Each one of Hidalgo’s paintings has a distinct element present; a string acts like an umbilical cord, essentially uniting him with the rest of the universe. The cord allows Hidalgo to travel back and forth through time, supporting his weight as it pulls him back into reality. Founded in 1967, The Arts Council of New Westminster is an umbrella organization built by individuals and member groups who share an interest in visual, performing and literary arts. The Arts Council’s role in the community is to advocate for the arts at all levels of government and to foster support for anyone engaging in artistic and cultural endeavors. This past year has been a transformative one for The Arts Council of New Westminster. The majority of the board has changed hands. Its members are reinvigorating the organization and leading the way is the new executive director, Stephen O’Shea. O’Shea, the bassist for the Abbotsford new-wave band You Say Party, took the helm earlier this year when Andrée St. Martin retired after 28 years. The Arts Council was founded in 1967. It serves as a resource of information about the arts community in New Westminster and fosters relationships between individual artists, member groups and the community itself. 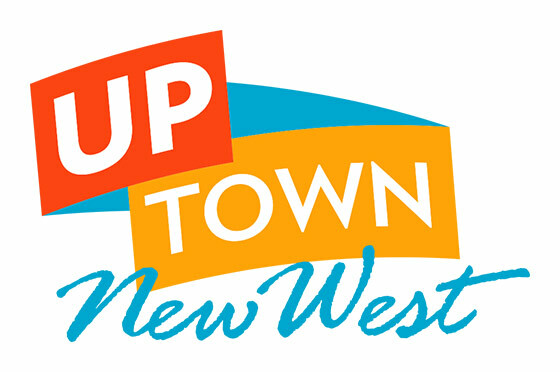 New Westminster is a thriving city of more than 65,000 residents. Development, particularly along the Fraser River, is creating fantastic opportunities for businesses and residents alike. Condominiums and storefronts are opening their doors in the Brewery District and along Columbia Street and new faces are popping up all over the city’s art and music scene. This rapid growth is the foundation of the Arts Council’s strategic planning process and is setting out the groundwork for its vision for the next three to five years. Several new initiatives have taken place this year, most notably the renaming of The Gallery at Queen’s Park. The Gallery serves as a cultural hub within the community; a home for local artists of all backgrounds and mediums to showcase their talents. The pop-up exhibition series, which kicked off this past summer in partnership with New West Pride, has been hugely successful. The group shows are serving as new portal for artists to develop their craft. The buskers pilot project Music by the River was made possible thanks to the One Prize Community Grant from Donald’s Market and the River Market. That unique partnership has been a great opportunity for local musicians to share their passion with the rest of the community. The Yam Jam is under a new moniker: MOMENTUM Youth Arts Movement. The festival promotes young artists and their work and is now entirely envisioned and driven by youth. It partnered with Pecha Kucha New West this year as a way add a vibrant, enthusiastic element to that festival and was hosted at the Anvil Centre for the first time. The Arts Council is excited about the year ahead. Planning is already underway for several initiatives, events and workshops to be held at The Gallery in Queen’s Park. The Arts Council continually strives to reimagine the space, which has successfully become an axis for the arts in New Westminster.